Published on the occasion of the 2009 exhibitions Present Time Exercise at the Museum of Modern Art, Oxford, and Standing Anywhere in the Space in a Relaxed Position at the Banff Centre, Alberta, Canada. Silke Otto-Knapp works with watercolour and gouache paints on canvas, building up and breaking down the painted surface to create works of subtle effect. Her paintings and drawings explore the interplay of rural and urban aesthetics while illuminating her characters’ quotidian experience. Inspired by theatre sets and botanical gardens, these dreamlike compositions are populated by ghostly figures, shadows, and open-aired amphitheatres. 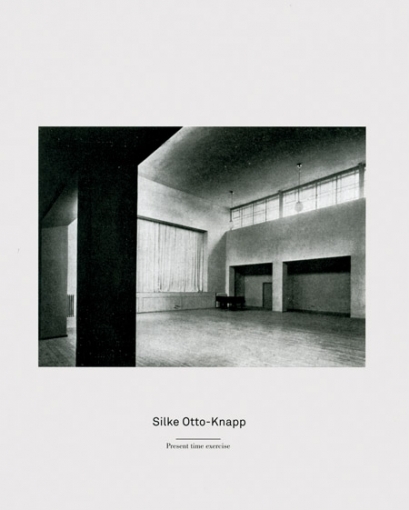 This catalogue surveys Otto-Knapp’s paintings between 2005-2009, in which staged figures and landscapes are at the centre of her explorations into the construction of pictorial space. Edited by Suzanne Cotter. Text by Catherine Wood, and Jan Verwoert.